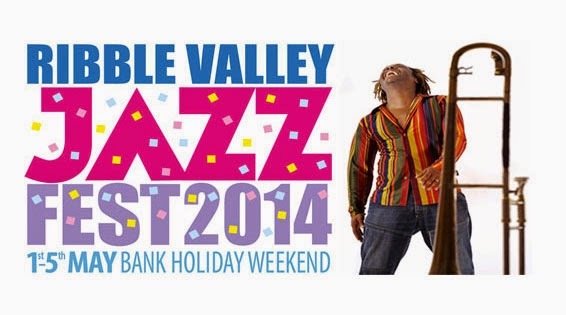 The 2014 Ribble Valley Jazz Festival will take place over May bank holiday weekend, from May 1st to May 5th. The festival will feature over 35 bands as well as a street festival. The festival will kick off with a performance by Camerata Ritmata, a Scottish group featuring Mario Caribe, Stuart Brown, Simon Thacker and Paul Harrison and playing original music inspired by folk music from around the world. Across the weekend, bands including NYJO, JJ Wheeler quintet, Dennis Rollins Velocity trio (Dennis pictured above) and more, ending on May 5th with the ever-popular Soweto Kinch trio. For full information on the line-up and details on venues and tickets, see the Ribble Valley Jazz Festival website.